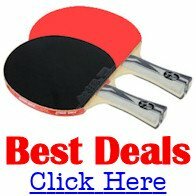 Twin Cities Table Tennis League is located in Minnesota, USA. Our area of players is Twin Cities Minnesota, primarily Saint Paul area, but our location of play is Capitol City Adventist Christian School (in their gym), 1220 S. McKnight Rd, Maplewood Minnesota, 55119 (We are not associated with CCACS, we just rent their gym). Visitors can play at our club June thru August and various special days during September thru May. (must pay & play entire 9-month season) for a REGULAR team player, but SUBs (are half the REGULAR fee) may join any time during the Fall. Our club is open year round - most Thursdays, 6pm to 10pm. Players should get on our e-mailing list and/or check our on-line Calendar schedule on our web site. We have 8 excellent tables and nets with cardboard barrier between two sets of 4 tables across the gym. There is no air-conditioning so it's hot during our Summer Session, but more comfortable during Sept. thru May (our Fall League). In the summer (June thru August) we have between 10 and 20 players each Thursday. In the fall (September thru May) we limit it to 8 teams of 4 players each (32 players total) by alternating the entire 48 players in the League. But, we always accept SUBs (which have only limited days/hours of play). We're primarily an adult League although there are some exceptions allowed with parents/supervised play of non-adults. Our fall league is 8 teams of 6 players each, but only 4 of the 6 play each week (on Thursday). Our summer session is open play to almost anyone with RR (round-robin) organized each Thursday. The emphasis of our club is on FUN competition and practice with adults of all levels of play - from beginners to about 1800 USATT rating. For fall, we assign handicap values (0 to 50) to each player, to allow everyone a chance to win matches played to 21 points (the old system of scoring, but with handicaps). But Summer is FUN with no handicap, and games played to 11 points. Our TCTT League is an off-spring of the "3M Club" (3M corp.) who helped start the League by supplying tables sometime before 1995. Now, our primary interaction with 3M is to recruit their employees as players and give them priority (over non-3M employees) in playing in our League. But we are financially self-sufficient and raise our own funds to pay our rent, tables, nets, balls, etc. 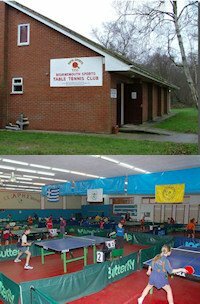 Our TT club does not offer coaching; but we can advise how to contact our local coaches.